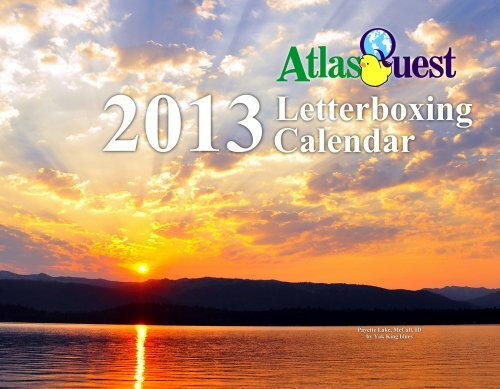 Atlas Quest: 2013 Calendars Have Arrived! If I've used one of your photos, you've got a free calendar coming your way. (You'll be hearing from me through AQ mail soon!) If you want a free calendar next year, be sure to get your submissions in for Project X! It's never too early to get your photos submitted before you misplace them or forget you even took them! Thanks to everyone who submitted photos this year and made this calendar possible. I'm still amazed at the wonderful photos y'all submit every year! The fish comment made me spill my coffee!!!! That's so funny!